Clocks as we know them today have been in use since the last decade of the 17th century, and several important examples were made right here in Newark and New Jersey the following century. As an instrument used for the measurement of time, the clock was preceded by the sundial and hourglass, but it differed from them as it was operated by use of a pendulum or spring device and was connected with a mass which stored energy and which turned a pointer. Authorities disagree as to when the first 'modern clocks' were made, arguing that it was sometime between the 11th and 17th centuries, but acknowledged they were produced first in Europe. The earliest ones were installed in public buildings including cathedrals, monasteries, abbeys and public plazas. They were designed by the French, English, Italians, Dutch and Germans. Some of the earliest interior clocks were found in the great homes of Virginia, the middle colonies and New England. Today, when we talk of a grandfather, or tall clock, we are referring to an instrument with a pendulum enclosed in an elaborate wooden case of oak, walnut or mahogany, and often finely decorated with wooden or metal inlays. Several excellent examples are to be found in the decorative arts collections of the Newark Museum and the New Jersey Historical Society. Great clocks on the outside of public buildings include ones such as on the Houses of Parliament in London or the Metropolitan Life Building in New York City, and have been replicated on a smaller scale locally. 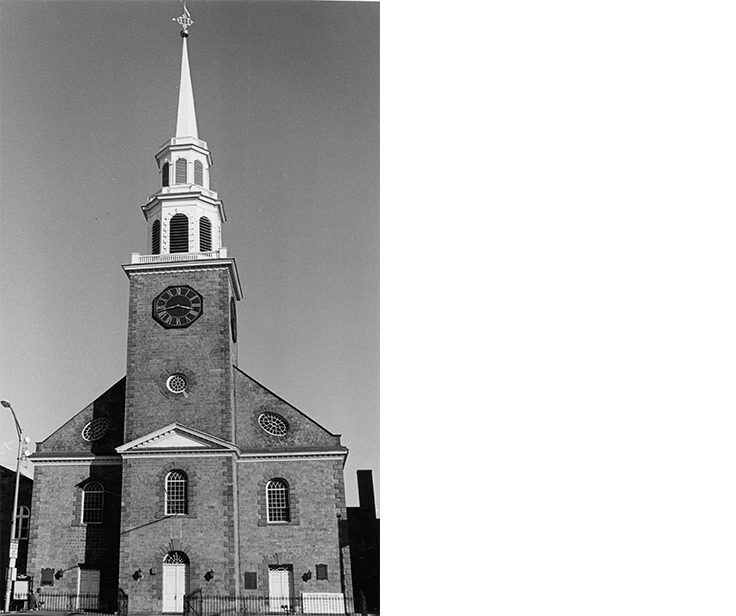 Some of the best local examples include those at Old First Church, Trinity/St. Philip's Cathedral and North Reformed Church, all in Broad Street.